The “RAM” name has become synonymous with the pickup truck segment. These workhorse vehicles deliver impressive performance paired with an extensive collection of features and technology systems. 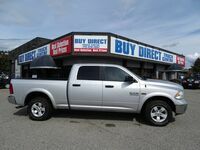 Buy Direct Truck Centre offers multiple excellent used RAM 1500 models in Kelowna BC. 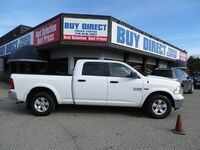 Our inventory at Buy Direct Truck Centre is stocked with an impressive selection of pre-owned truck models from RAM and multiple other brands. We carry popular trucks such as the Ford F-150, Chevrolet Silverado and GMC Sierra. Our inventory is always changing, so check back regularly to stay up to date on the vehicle models we have to offer. The RAM 1500 has built its reputation on workhorse capabilities. RAM 1500 models offer multiple engine options that deliver impressive performance. Included in this list of engine options is the turbocharged EcoDiesel engine that helps the truck deliver segment-leading fuel economy ratings. 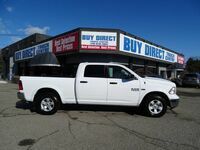 RAM 1500 models can be found in a wide variety of trim levels. Each trim level helps optimize the performance of the truck for a different specification. These range from the utility RAM Tradesman, to the high-luxury RAM Limited, to the off-road oriented RAM Rebel. Regardless of your needs as an owner and driver, there will be a RAM model that checks all the boxes. A wide variety of comfort, safety and technology features are available on the models in the RAM lineup. The truck is known for its comfortable ride. This ride is supplemented by technology features like the Uconnect touchscreen infotainment system. 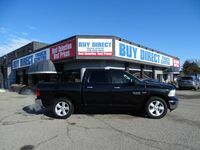 Buy Direct Truck Centre’s inventory of used RAM models can be viewed here on our website. If you have any questions about the vehicles or services we have to offer, get in touch with our team right away.